According to a study recently published in Nature Geoscience, natural underwater oil seeps might actually aid marine life—tiny, photosynthetic, microbial life, to be specific. The scientists stress that there are sharp differences between natural oil swells and oil from spills—like, for example, the disastrous 2010 Deepwater Horizon spill. 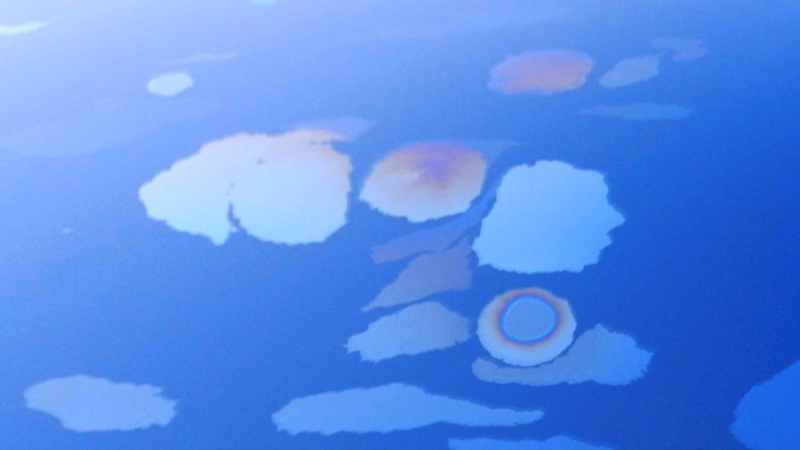 Natural oil seeps last just a few days and affect up to 100 square kilometers of ocean water, while the Deepwater spill lasted months and affected about 11,200 square kilometers. And the affects of the Deepwater spill have been far from positive: As the National Wildlife Federation reports, the spill has led to sick dolphins, stranded sea turtles, and more. So don't get too excited, BP.